We are regularly asked for recommendations for great graphic novels, so here are just a small selection of some (and hybrids) that we rate. ‘Illegal‘ is a hard-hitting, empathetically illustrated piece of fiction and one which makes for a particularly tough, but a nonetheless very necessary read. A story which illustrates one boy’s epic journey of hope & survival supported with the most considerate spreads. A stunningly eerie mix between picture book and graphic novel. Our formidable leading lady is a creative soul. By night she catches twinkly lights and has magically illuminating adventures, by day she turns them into wonderfully dreamy, whimsical doodlings. An empowering fantasy read, packed with intrigue and adventure as we follow the tale of our blue-haired protagonist. 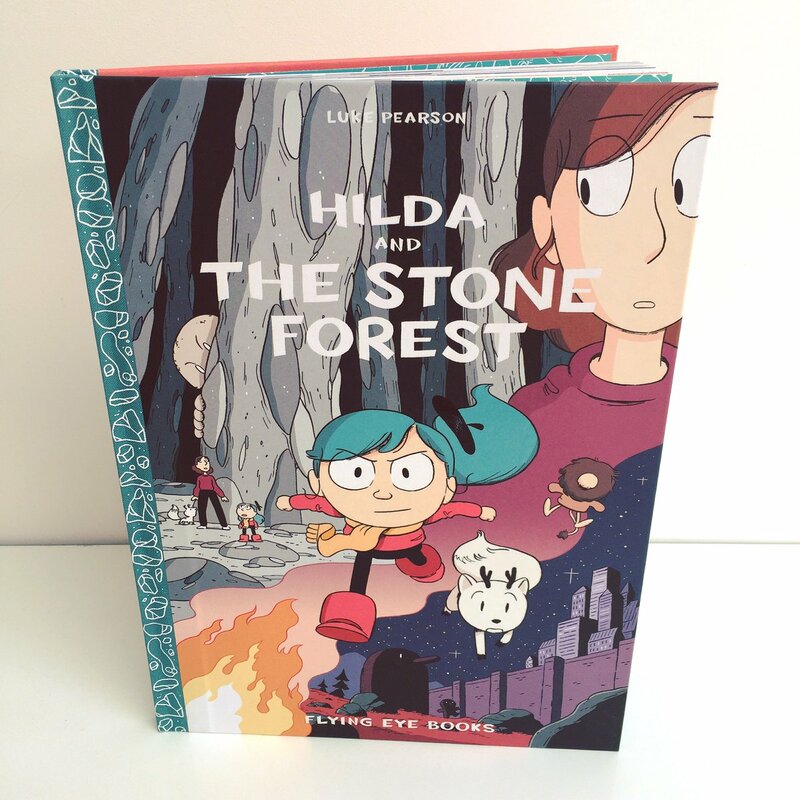 In this fifth instalment we find Hilda on another mystical adventure, with a number of familiar faces from previous stories. Not to be missed. Is a hard-hitting and very necessary re-telling of a poignant and shocking time in our history. In an accessible graphic novel format, this book follows six young Jewish people who survived the Holocaust through to what happened to them after the war. A highly acclaimed series from Anouk Ricard that takes a sharp-witted, humorous and realistic look at an eclectic mix of friends and how the dynamics of their group play out. Is a highly imaginative and truly magical night time tale with a highly unusual composition, with an almost graphic novel feel in places. The subtle changes in layout make for a positively engaging read. ‘Geis‘ pronounced ‘gesh’ is the first in a three-part fantasy saga. The first spell-binding instalment introduces us to the beginning of a highly poignant contest. Utterly gripping and stunningly illustrated. In this transient mix of picture book meets graphic novel, you can’t fail to be moved by this read. So beautifully executed and poignantly written about moving away from everything you know and love for a new adventure. In a totally compelling and utterly inventive story, Yoshitake invites us to reassess who we are and ponder on our individuality in a positive way, with an injection of wit and humour. A mix between a graphic novel, chapter book and picture book this thriller is a great transitional read for children who are starting to widen their reading material. Thank you so much for this blog about graphic novels. My 5 year old is not keen on reading the words in books, but loves to devour pictures and tell the story that way. I think she is about to start a collection of some of these amazing looking graphic novels! !